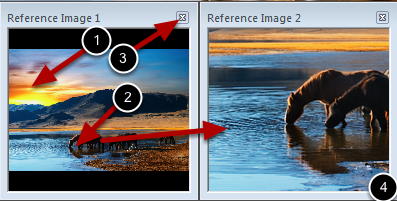 The Reference Image feature places an image is a window that can be resized, zoomed and colors selected from. 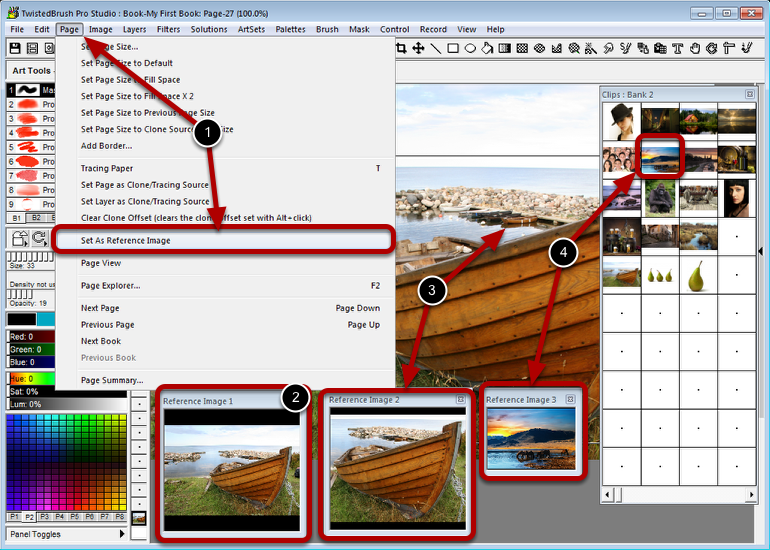 Up to 9 reference images can be displayed at once. Selecting Set As Reference Image from the Page menu will set the current page as a reference image. Here is the reference image for the entire image as shown. A reference Image can also be set from a selection as shown here. Clicking on a selection will present the menu to do this. A clip can also be used to set a reference image. Right clicking on a clip in the Clips panel will present the menu to do this. Not shown but a reference image can also be set from the Page Explorer. Click or click and drag to select a color. Right click to zoom in to an area. Close a reference Image window with the X icon. Resize the reference image window by dragging the edge.